South African consumers took to the shopping centres around the country to maximise on the Black Friday deals on offer hosted by retailers representing all categories from toys to electronics. The retail promotion now in its 3rd year saw crowds of customer’s line up to ensure they did not miss out on the limited deals. With some retailers opening their doors at midnight and others two hours earlier than standard hours, customers took advantage of the extended shopping hours. Customers went full steams ahead to grab the best deals at much anticipated reduced prices over the Black Friday sales period, leaving some centres overwhelmed with the influx of bargain hunters pushing through their doors. 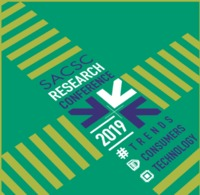 Sightings from a recent survey of 75 shopping centres conducted by the South African Council of Shopping Centres indicated an increase of 17.8 % of retail participant’s year on year. Retailers were not the only ones to offer specials during the heavy discount promotion as shopping centres introduced marketing initiatives to guide customers on where to get the deals within their centres as well as offering free parking on Black Friday. Menlyn Park distributed 10 000 branded shopping bags which contained tenant Black Friday offers and a bottle of water to their customers. In addition Menlyn Park ran two centre competitions on their social media platforms which saw participants walk away with R1 000 Menlyn Park Shopping Centre vouchers. The centre also offered customers free parking on the day. Most centres received increased numbers, however super regionals experienced the majority of the shoppers, with a select number of small regionals enjoying a similar support from shoppers. Mall of the North a regional shopping centre located in Polokwane recorded a foot count increase of 26% year on year on Black Friday advised General Manager Sumari de Ridder. The centre which is also anchored by Game store had advertised the promotion on various platforms including local and national radio stations. Musgrave Centre a small regional shopping centre that caters for LSM 8-10+ located in Durban recorded 23% increase in footcount year on year. East Rand Mall a located in the eastern suburbs of Johannesburg had an increase of 37% of footcount on Black Friday year on year. The retail promotion that took place on the 24th of November saw a number of retailer participants which included Game, Checkers, new promotion entrant Shoprite, Pick n Pay Hyper Markets, Clicks, Toys R Us, Dis-Chem and Samsung. Game stores opening at midnight in selected stores resulted in scores of crowds outside their stores. This year’s promotion boasted the highest retail performances to date as customer’s showcased greater support to retailers. Toys R Us Head of Real Estate, Brad Jacklin reported that this year’s Black Friday was their best ever. Top Performing Toys R Us/Babies R Us stores included Gateway Theatre of Shopping, The Pavilion, Canal Walk, Boksburg and Fourways Crossing. Westgate Shopping Centre conducted an on-site Black Friday customer survey with a sample of over 250 shoppers which reported 81% of customers would be supporting the centres Black Friday promotions in 2018.